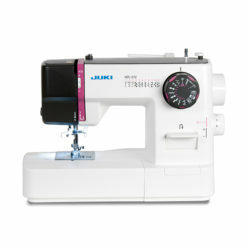 The HZL-K65 weighs in at just 15.6 lbs. 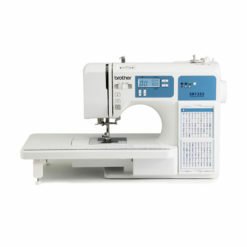 Sews at speeds faster than many	full size sewing machines. 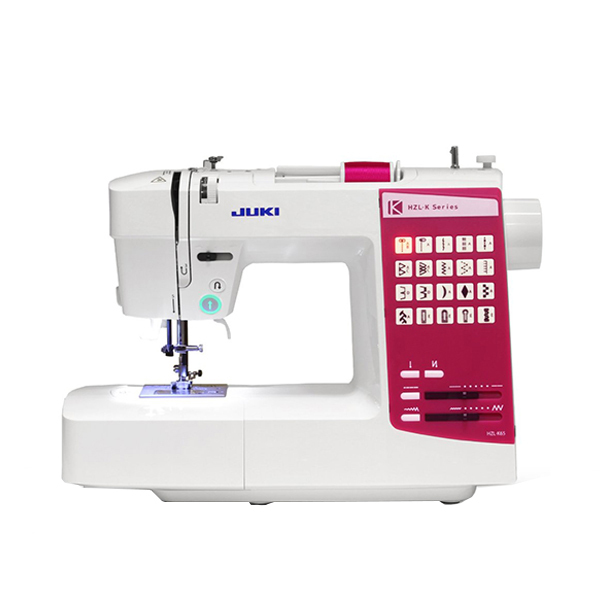 And – because it’s a Juki, the K-65 sews smoothly, quietly with superior stitch quality! 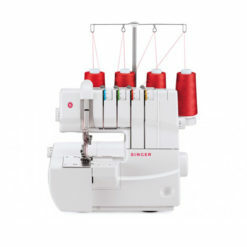 Easily select stitch patterns with a touch of a button. 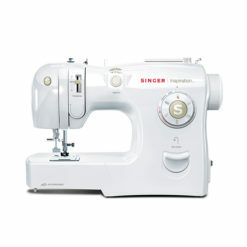 Selected stitch key will illuminate, so know you have the desired stitch. 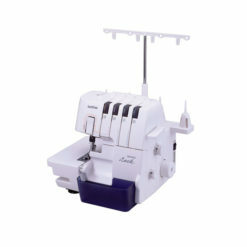 3 Sensor buttonholes allow you to create perfectly sized buttonholes, for any need. 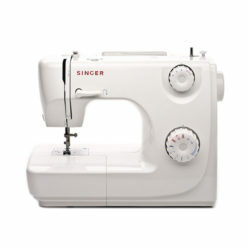 just snap on the Sensor Buttonhole foot, select a buttonhole pattern and start sewing! That fast and that easy! 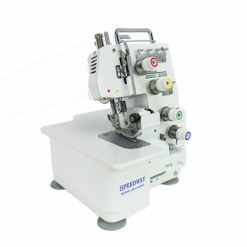 Just follow the numbered path until you get to the Automatic Needle Threader! With 15 needle positions, you can place stitches anywhere you desire. 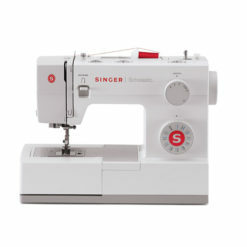 Use the automatic stitch settings or	adjust the stitch length and width to create unique stitch effects. Two Lock Stitch options allow you to secure your sewing with ease. 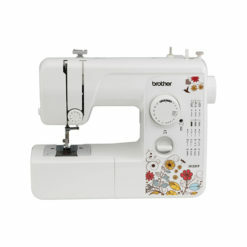 Use the lock in place stitch for decorative stitches or the back tack or automatic reverse stitch for more secure seams. 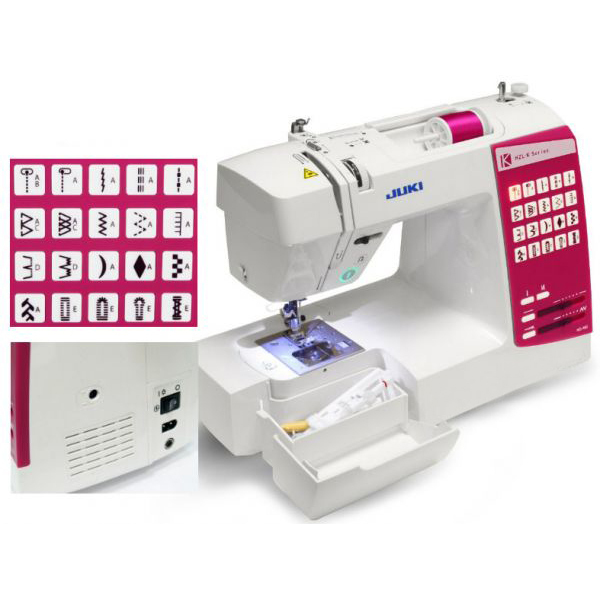 Lock stitches are automatically created at the start of the stitching and at the end of the stitching with a touch of a button. 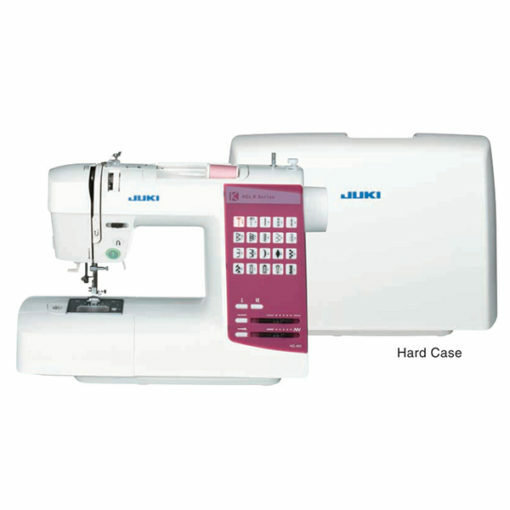 With the HZL-K65 tension settings are never a worry. 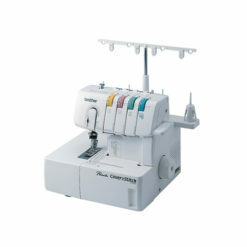 You can use the Automatic Thread Tension or increase or decrease the tension to create different stitch effects. Perfect control is always just a turn of a dial away. Thanks to a 7-point surgical feed dog system , the HZL-K65 can handle even the heaviest off projects with ease. The box-feed system means that heavy or light fabrics feed evenly and smoothly. Juki’s rich tradition in quilting continues with the HZL-K65. Want to free motion quilt, just drop the feed dogs and go!